It’s true that clothes can affect your mood. This carefree outfit made me feel upbeat and happy all day. The terracotta ‘gypsy’ skirt is made by sass & bide. It’s actually designed to be a jacket, but with a bit of playing it doubles as a skirt. It’s a silk/cotton mix and a bit too see thru, so the Arabella Ramsay A-line yellow singlet top (worn as a petticoat) adds colour as well as an extra blocking layer underneath. 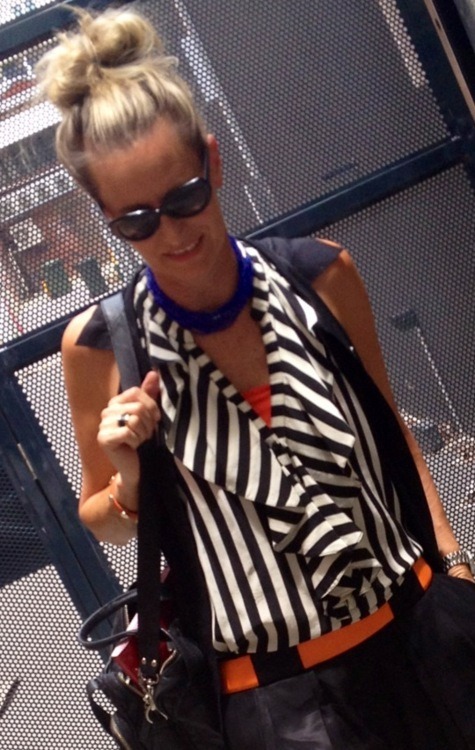 A patterned scarf is tied around the hips, a plain cream silk racer top and heaps of ‘Design Studio’ beads from Myer complete the look. Today’s client Katie, needed a complete new Corporate wardrobe – tick. She also needed a hot outfit for a Hen’s Party. 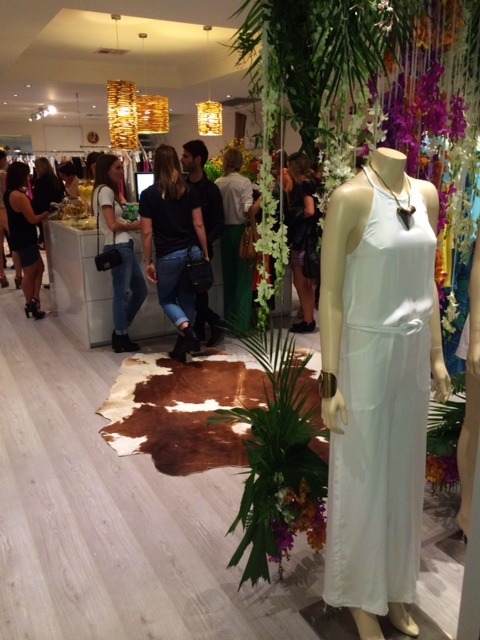 She rocked this Metallicus longline singlet dress, worn with Nicola Finetti window back, silk over shirt. 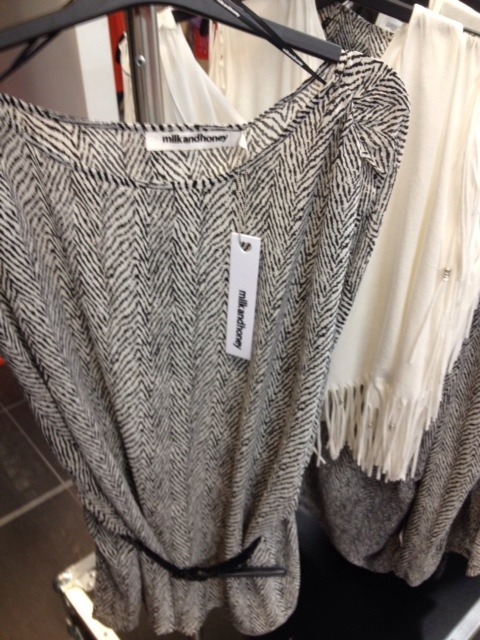 It is cinched in with a sass and bide zebra belt. Katie looked and felt amazing in her new look. 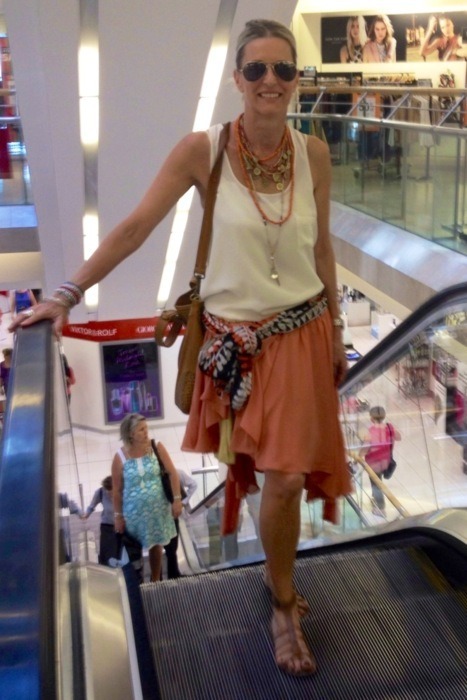 Birthday girl Yvonne, is our Myer Perth City store Fashion Floor manager. 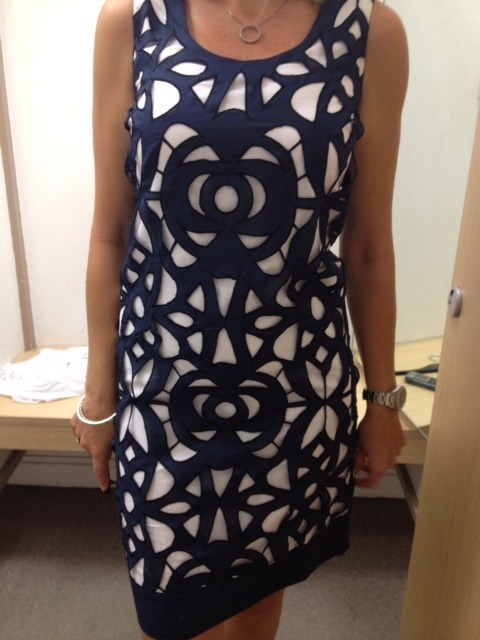 Every girl needs a new dress as a birthday treat and she looked fab in this new to the floor Basque, cut-out navy and white dress. Great line and length. Team with a bright yellow cardi for a knockout look.